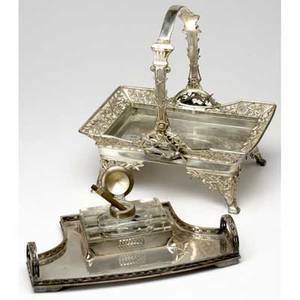 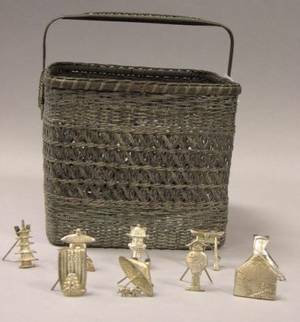 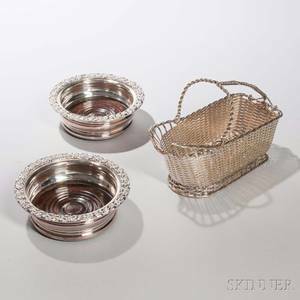 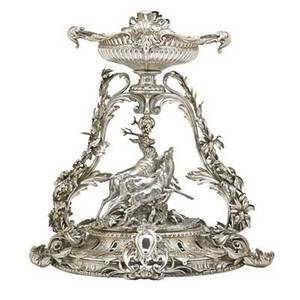 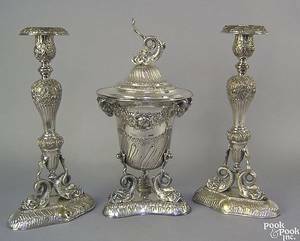 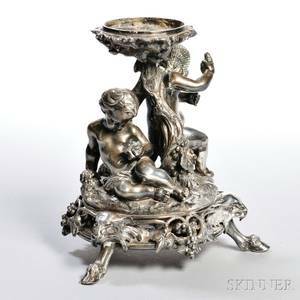 Silver plated centerpiece basket, 13" h.
Silver-plated desk items secessionist style inkwell and gutta-percha pen together with a silver-plated handled basket with bird decoration. 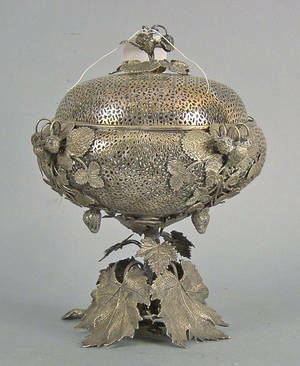 basket with handle extended: 12". 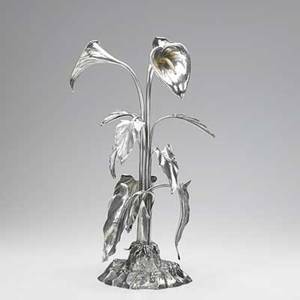 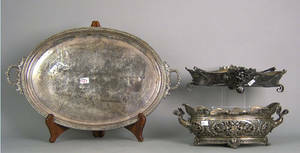 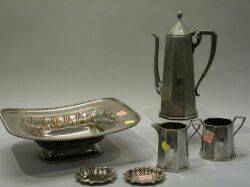 060390: SILVER PLATED CENTERPIECE, H 25", DIA 10 1/4"
Elkington & co.; victorian silver plated centerpiece with calla lilies on foliate base, 1854; marked; 19""
Silver plated centerpiece set, late 19th c.
Three-Piece Derby Silver Plated Demitasse Set a Silver Plated Bread Basket and a Pair of Whiting Sterling Nut Dishes.